Take this unexpected journey back into America's past. The beauty and craftsmanship of 18th and 19th century furniture is evidenced by a number of carefully preserved pieces from the estates of the Washington family and their descendants. Coin-silver utensils used at Mount Vernon, a 207-piece set of Minton porcelain and an exquisite pair of Sevres vases, circa 1785, from the Augustin Washington estate, the half-brother of George, highlight the display. One highly-regarded piece is a walnut games table with tulip and rosewood inlay (circa 1805). The beautiful table belonged to Bushrod Washington, a direct descendant, who inherited Mount Vernon upon Martha's death. Surprises await in every corner. 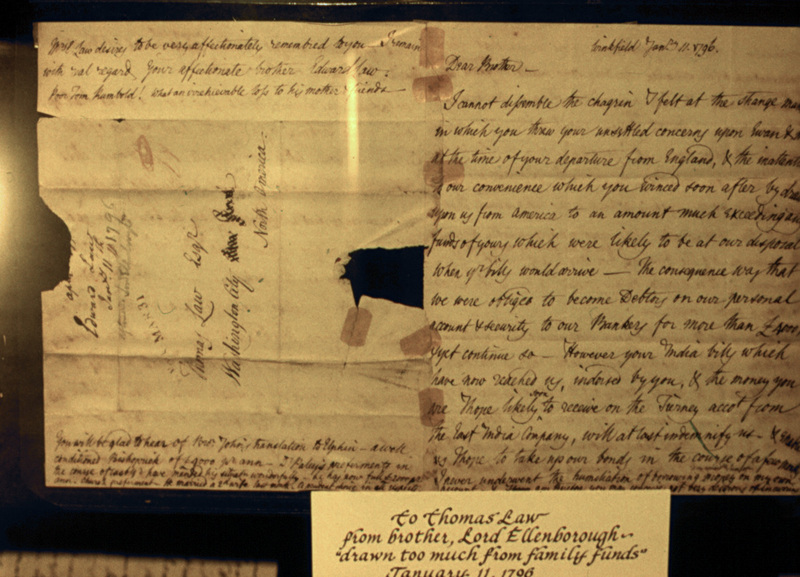 The oldest item in the Museum is the handwritten will of Colonel Daniel Parke dated 1710. His grandson Daniel Parke Custis married Martha Dandridge. After his death she married George Washington. Other 18th century treasures abound-from Martha's prayer book to the original sketch of the landscaping planned for Mount Vernon in 1787. The beauty and craftsmanship of 18th and19th century furniture is evidenced by a number of carefully preserved pieces from the estates of the Washington family and their descendants. Coin-silver utensils used at Mount Vernon, a 207-piece set of Minton porcelain and an exquisite pair of Sevres vases, circa 1785, from the Augustin Washington estate, the half-brother of George, highlight the display. One highly-regarded piece is a walnut games table with tulip and rosewood inlay (circa 1805). The beautiful table belonged to Bushrod Washington, a direct descendant, who inherited Mount Vernon upon Martha's death. For more pictures of the collection, visit the Virtual Tour and Photo Gallery.